1 Place the chocolate, coconut milk and vanilla extract a glass bowl, on a saucepan of water (insuring the water does not touch the bottom the bowl), on a medium heat. 2 Occasionally stirring, when the chocolate is melted remove from the heat stir it all together and set aside for 10 minutes. 3 Then stir the chocolate and place the bowl in the fridge for 10 minutes. 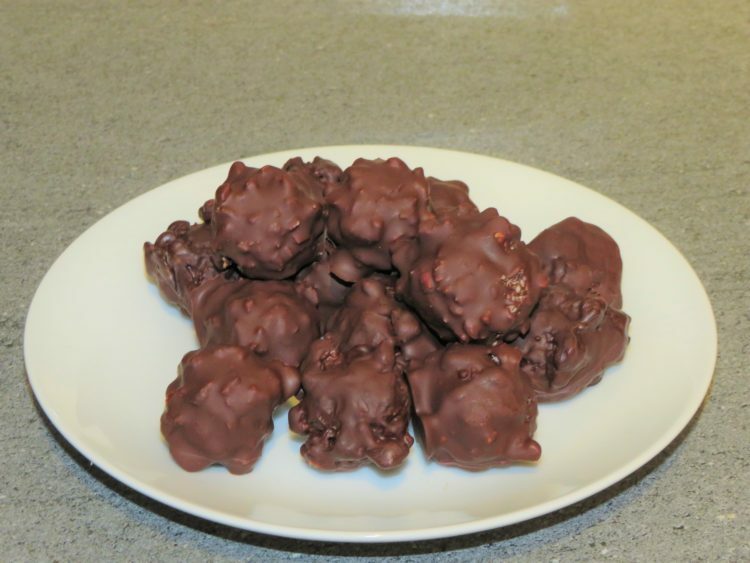 4 Then remove from the fridge stir and add in the 25g of crushed hazelnuts before stirring again and return to the fridge for about 10 minutes or until the chocolate is frim enough to roll into 16 balls in the palm of your hand. Roll the balls with wet hands, then place on a plate. 5 In another glass bowl melt 100g 85% coco organic dark chocolate over a saucepan water. When the chocolate has melted set aside. 6 Pour the 75g of hazelnuts on a plate. 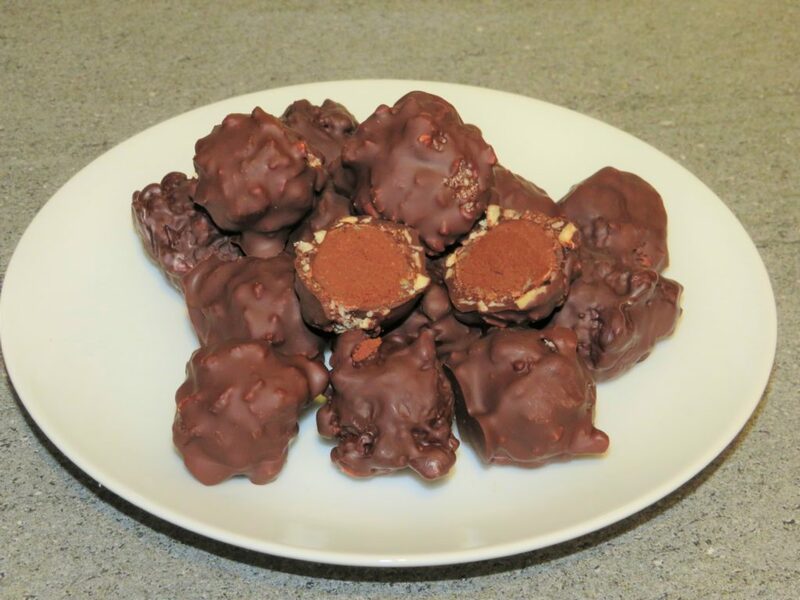 7 Put the ball on the end of a skewer and dip into the melted chocolate until covered, then put on the plate with the hazelnuts and cover in the hazelnuts and place on a plate covered in grease proof paper. Repeat the process until all the balls are done. Then place the plate in the freezer for 5 minutes until hard. 8 When the balls are hard remove from the freezer. With your fingers dip the balls into the melted chocolate until covered, then place back on to a plate with grease proof paper. Repeat the process until all the balls are covered then place in the fridge. 9 After about 10 minutes remove from the fridge and they are now ready to enjoy. Tip They can be stored in a seal bag in the fridge (if you have any left) to enjoy at your leisure.